As the annual JP Morgan Healthcare Conference came to a close last week and we move into Q1 2019, it is useful to both review the broad 2018 Healthcare M&A market and look forward to what 2019 could hold for the sector. If 2019 is to be anything like 2018, the sector will remain active for private equity firms across the US. 2018 was a record year for US Healthcare M&A. According to Pitchbook’s Q3 US MM Market Update, through Q3 2018, there were 323 middle US Private Equity Middle Market deals completed for a total value of $45.9 billion. Add-ons accounted for almost 60% of those deals as PE firms around the US continue to find sub-sectors with consolidation opportunities. As we move into 2019, there are many currently “unknowns” that could positively (or negatively) impact the 2019 deal landscape. How will the new Congress affect regulatory compliance? What new sub-sectors within the healthcare services sector ripen (or sour) for consolidation? How will the growth of value-based reimbursement affect the quality of care provided and what will the impact be to providers’ EBITDA margins longer-term? These are just a few of the myriad questions healthcare-focused M&A folks will encounter with each deal book that comes across their desks. Through November 2018, 585 healthcare-focused deals were announced (on track to surpass 2017). The MM Healthcare M&A market remained strong through December 2018 and shows almost no signs of slowing in 2019. 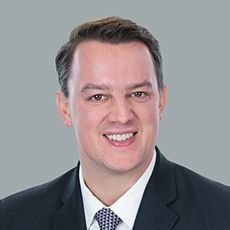 According to Christopher Elvin, head of private equity at Preqin, the broad healthcare M&A market continues to increase with, “Strong fundraising, record levels of dry powder available to invest, and record numbers of deals…” The upward trajectory of the market is reinforced by elevated EBITDA multiples. These higher multiples are leading sponsors to divest high-quality assets, which pushes competition and valuations even higher moving into 2019. What will be interesting to watch in 2019 is where the majority of sponsors spend their time and dry powder in terms of sub-sectors and asset sizes. The increasing of prevalence for add-on acquisitions will likely continue in 2019 with fewer, more expensive platform investments completed. In looking at the broad sub-sectors, it appears the sponsor community is still attracted to consolidating fragmented physician practice groups such as vision, dental, dermatology, gastroenterology, and veterinary health, to name a few. From the stats, it appears there is significant opportunity within these sub-segments,and others, to capture operational synergies and roll up EBITDA within the fragmented payer-provider service companies. Utilizing and implementing a R&W insurance policy has become “table stakes” for the large majority of transactions where the total transaction value exceeds $50 million in enterprise value. With the constantly changing state and federal regulatory and compliance environment, it is essential for buyers to partner with an insurance advisor that understands the healthcare R&W insurance marketplace. Terms, conditions, and pricing can change on a deal-by-deal basis––understanding the market benchmarks and where to push underwriters is another key that will help streamline the process. Understanding the underlying property, casualty, management liability, and employee benefits risks inherent to a business helps a buyer better understand which acceptable risks to undertake pre- and post-close. Opportunities to consolidate the program may be available. Analyzing claims data and frequency and severity of claims can help benchmark future losses and how EBITDA will be positively or negatively affected post-close. The employee healthcare marketplace is constantly changing, and mechanisms can be implemented to curtail rising costs in the short and long-term, positively impacting EBITDA. Implement any necessary improvements to the program as part of the long-term integration strategy. Add-on acquisitions must be seamlessly added to a platform to avoid unnecessary disruptions to operations or employee morale. The diligence provider understands the link between owner and portfolio company and can help be the liaison between the two. As the US MM Healthcare market continues to expand, more deals come to market, and private equity firms look to put more capital to work by acquiring high-caliber healthcare physician services assets in 2019, there are still many variable factors that could positively (or negatively) affect deals. While insurance and risk management play a small part in the overall transaction process, having a competent advisor as part of the team can help not only win a deal in the initial stages of an auction process, but also ensure the buyer is protected from a R&W perspective, and the post-close portfolio company is cost-efficient and profitable post-close from an insurance and employee benefits perspective.